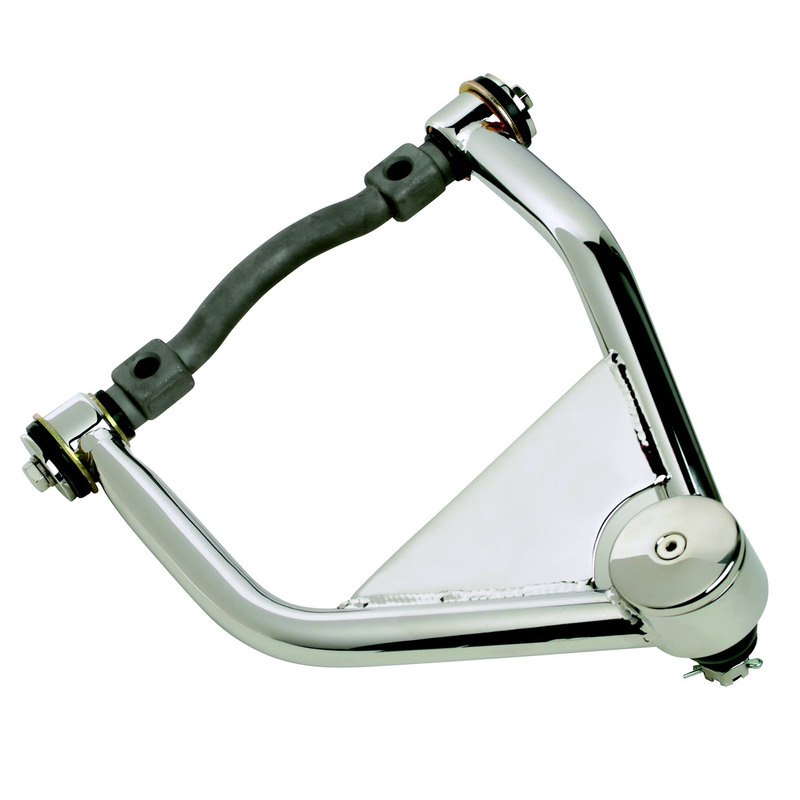 HEIDTS™ front suspension components are perfect for lowering, stopping and just flat out making your Tri-Five handle. 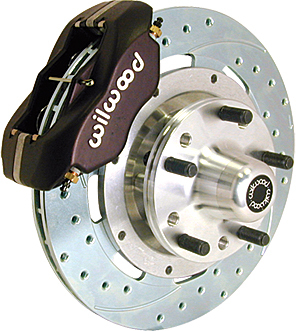 From our Tubular Upper and Lower Control Arms to Coilovers and Disc Brake Kits components, you will get the look, the stopping power and the handling you deserve. Our 2” Dropped Spindles are full steel spindles, just like factory spindles. This is much stronger than cast iron. 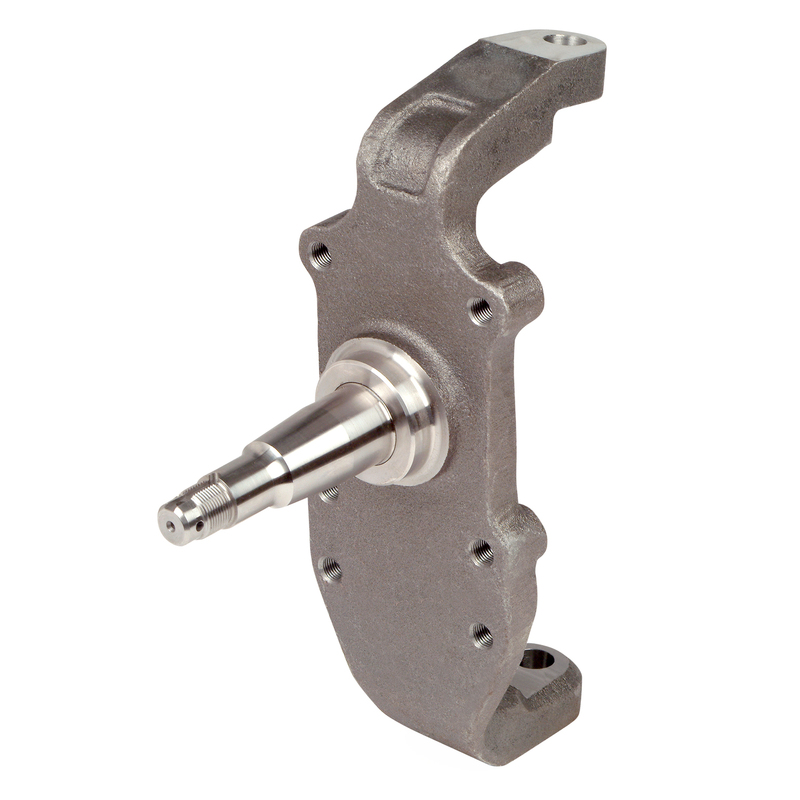 HEIDTS has all the components needed to complete your 2” Dropped Spindle installation for either Late GM or Early GM calipers. 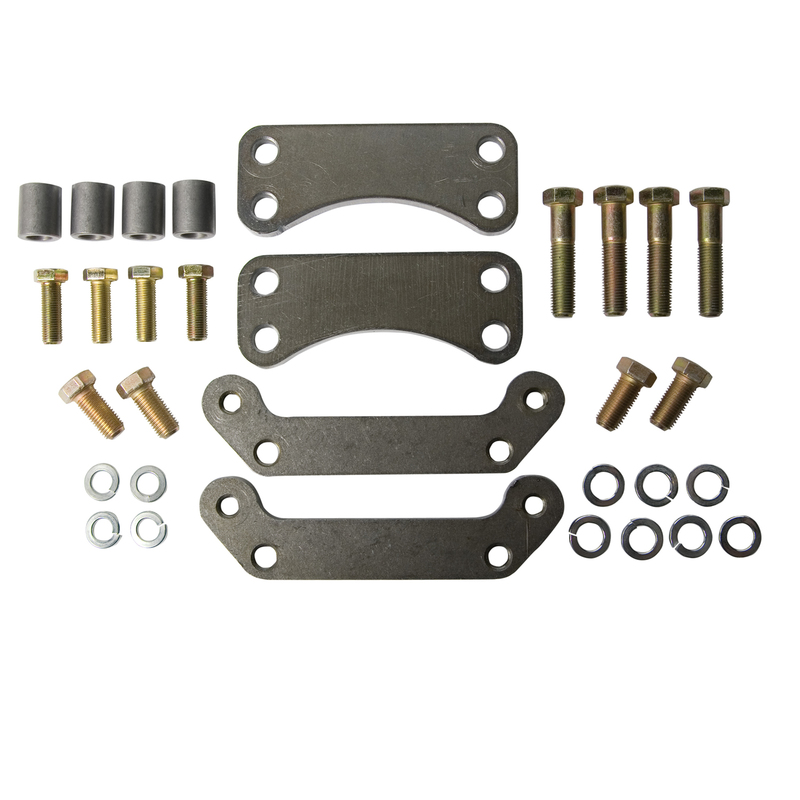 Upper & Lower Control Arm Bushing Caps. 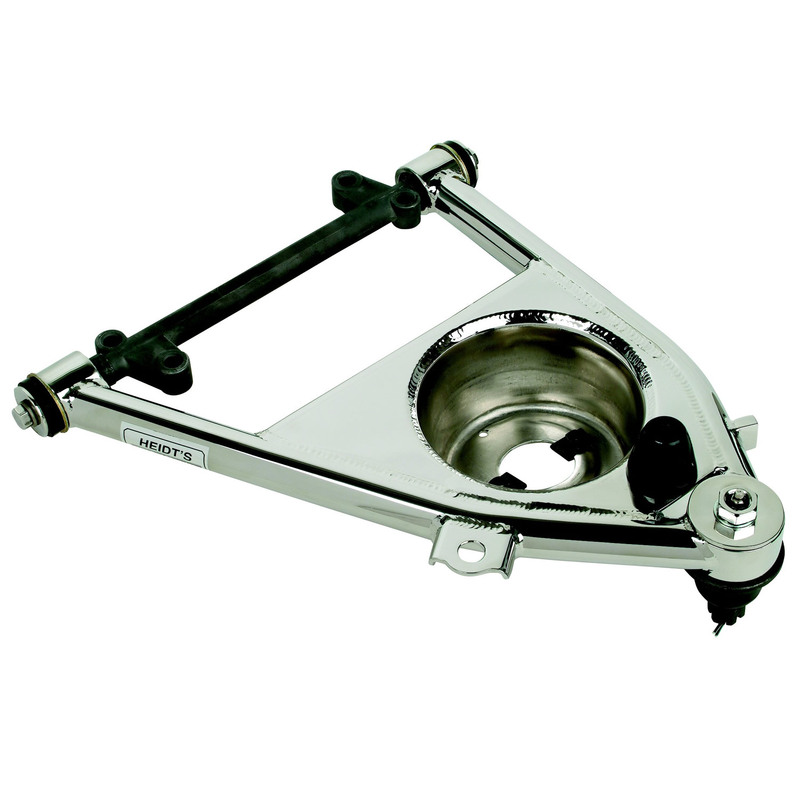 Fully polished aluminum, with polished stainless bolts, will fit Tubular Control Arms or stock control arms. The finishing touch to your suspension. Cover those upper ball joints with our Ball Joint Caps. 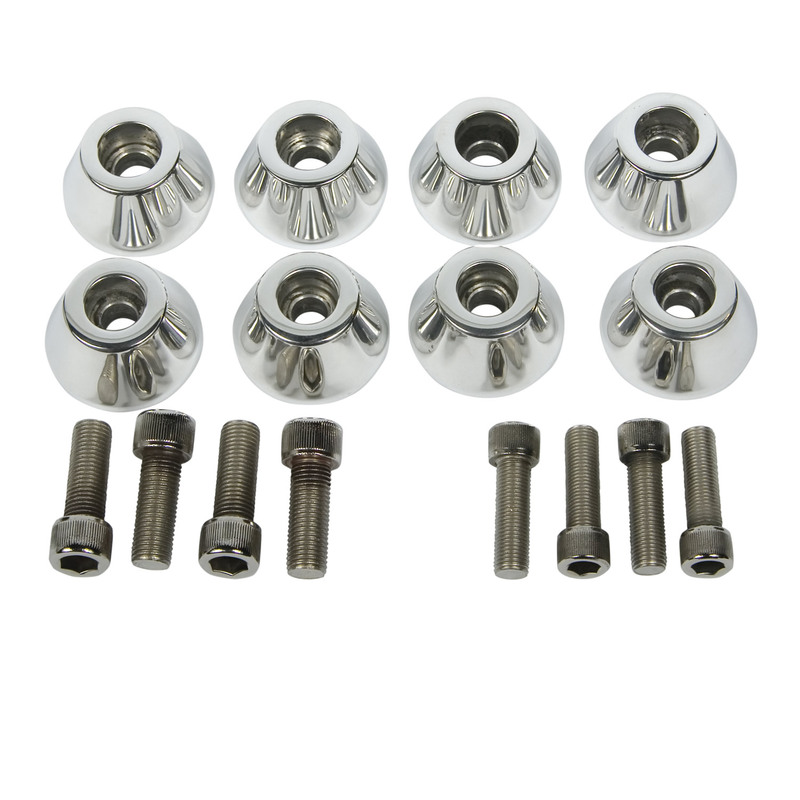 They are polished stainless steel, including polished screws. 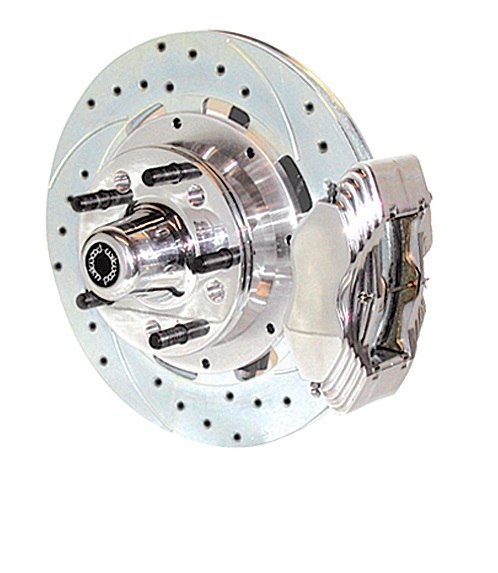 HEIDTS Billet aluminum coil-over shocks are fully adjustable for ride height and dampening. Specifically designed full length conical springs are powder coated bright silver. Two progressive spring rates for big blocks or small blocks. 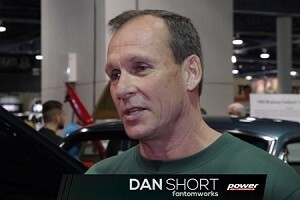 Fits coil-over arms or stock applications. To give your ‘Shoebox’ an even lower look, add these HEIDTS 1” Dropped Coil Springs. The are 1” shorter than New factory springs. Combined with our 2” Dropped Spindles, they will put your cruiser a full 3” in the weeds safely and easily. Stabilizer bars, or sway bars, are used to control body roll and sway. HEIDTS Stabilizer Bars for ‘55-’57 Chevys are made of heat treated steel. They are available in either 7/8” or 1” bar, with urethane bushings. 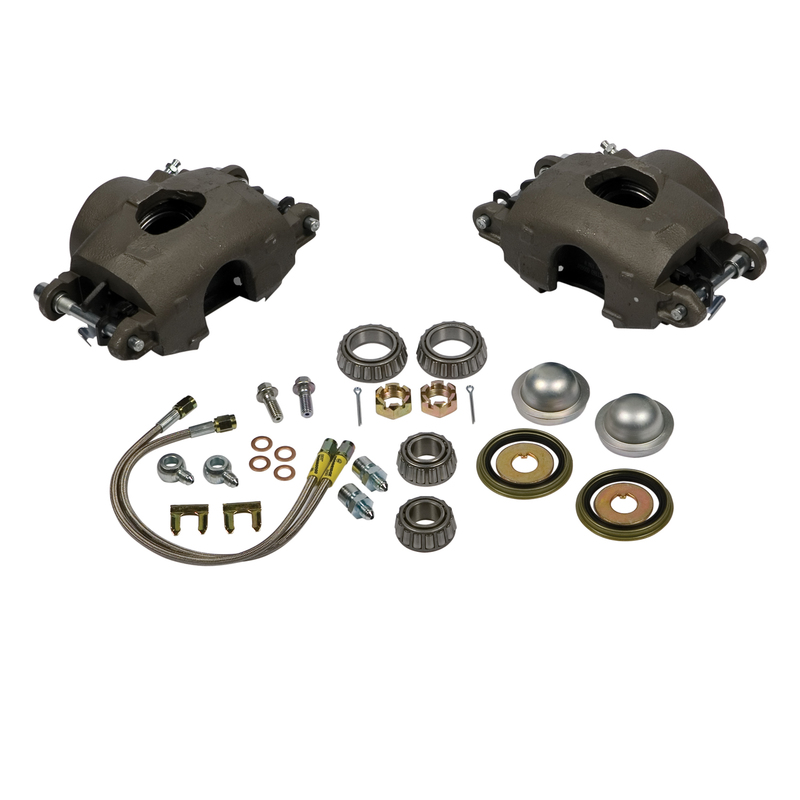 HEIDTS front suspension components are perfect for lowering, stopping and just flat out making your Tri-Five handle. 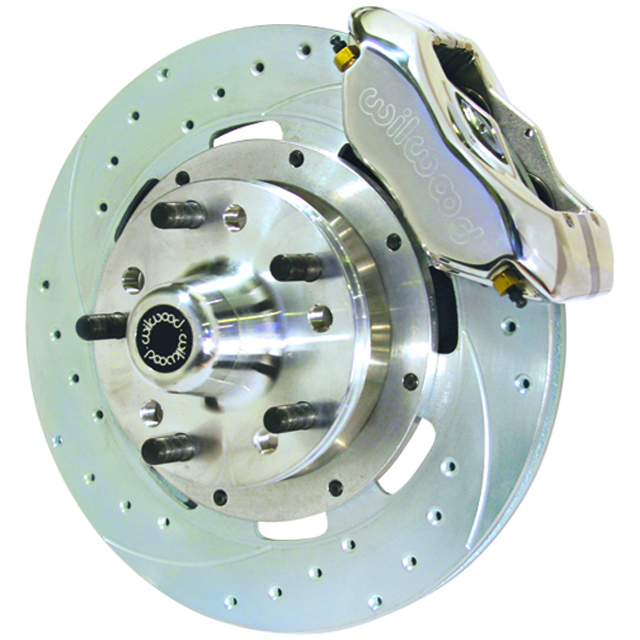 With our components you will get the look, the stopping power and the handling you deserve. Our 2” Dropped Spindles are full steel spindles, just like factory spindles. This is much stronger than cast iron. They use your stock steering arms, with no loss of turning radius. No realignment required. 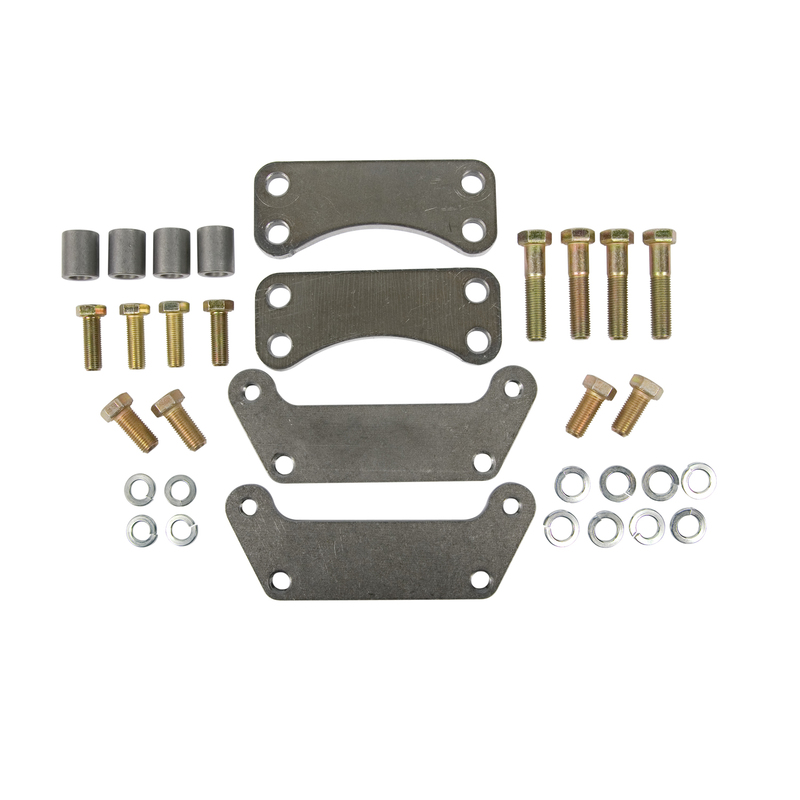 The caliper brackets bolt on like mid-70’s Chevys, allowing many brake options shown. All the components needed to complete your 2” Dropped Spindle installation for either Late GM or Early GM calipers. 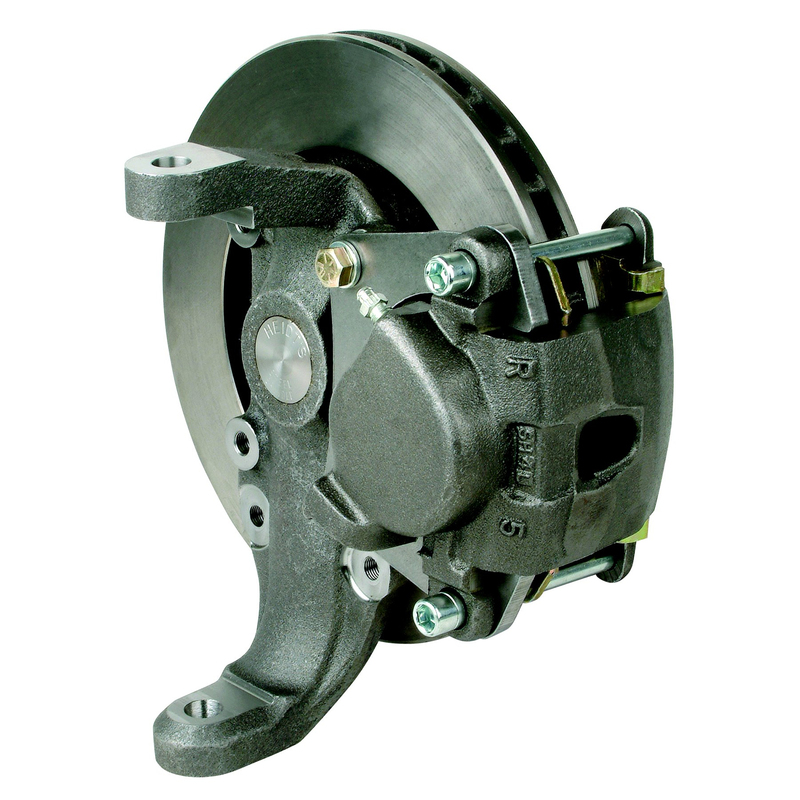 Includes rotors, Calipers with Pads, Bearings and Seals, Spindle Nuts, Dust Caps, Hoses and Banjo Bolts. 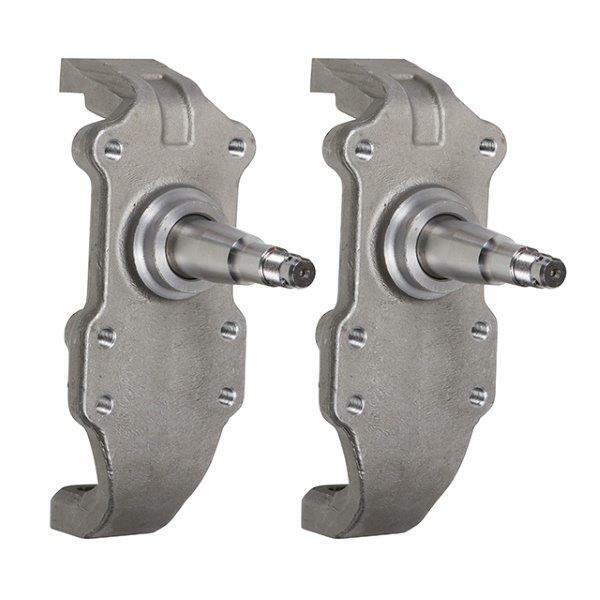 The “Conversion Kit” updates early stock spindle disc brake kits to our 2” spindles.